McLaren-Honda's have clocked up 115 grid place penalties in this F1 season. (GEPA Pictures/Red Bull Content Pool). No matter what happens to Fernando Alonso in 2019, don’t call it retirement. The Spaniard announced overnight that he will leave Formula One at the end of the season after a 17-season career that brought him 32 race victories, 22 pole positions and, of course, two world championships. His plan in 2019 beyond the conclusion of the 2018-19 World Endurance Championship season is undefined, but with the Indianapolis 500 the only leg left to complete in his mission to acquire motorsport’s triple crown – victories at the Monaco Grand Prix, 24 Hours of Le Mans and the Indy 500 – an entry into the IndyCar championship in some form is surely on the cards. Nonetheless, Formula One fans will feel aggrieved that a driver many consider to be the best in the world has had some of his most competitive years in the sport squandered, particularly in an F1 era featuring an increasing number of high-calibre drivers. But disappointment should be directed as much to Alonso as to anything else. Half the struggle of winning a Formula One world championship is being in the right place at the right time, and in this regard Fernando’s judgement has been found to be shockingly impaired. Alonso had the F1 world at his feet by only the fifth year of his career, vanquishing Kimi Raikkonen for his first championship in 2005 and Michael Schumacher in a down-to-the-wire duel in the German master’s final season in 2006. His move to McLaren in 2007 should have been his opportunity to take the record-breaking baton from the now retired Schumacher to forge a chapter in history all his own. In reality it was the beginning of his downfall. Alonso went to war with his own team over what he considered to be a broken promise to give him priority over surprisingly competitive rookie Lewis Hamilton. So bad was the blood between Alonso and McLaren boss Ron Dennis that the Spaniard threatened to alert the FIA to emails that would incriminate the team in the so-called ‘spygate’ controversy. Those emails later formed a key part of the evidence that had the team excluded from the championship and fined US$100 million. His position obviously untenable, Alonso returned to Renault for two years – unremarkable barring his victory at the fixed 2008 Singapore Grand Prix – before making the move to Ferrari. At the Scuderia the best and worst of Alonso was on show. The 2012 season was Alonso in his absolute prime, stubbornly inserting himself into a championship fight his car had no business contending and falling short by three precious points at the final round. But by 2014 Ferrari had lost its way. The team was a distant fourth in the standing sunder new regulations, and amid sweeping management changes Alonso, fed up with the lack of performance, attempted to assert his authority on the team in the process. Marco Mattaicci, team principal in his first and only year at the helm of Ferrari, and Sergio Marchionne, exerting pressure from Ferrari parent company Fiat, pushed back. 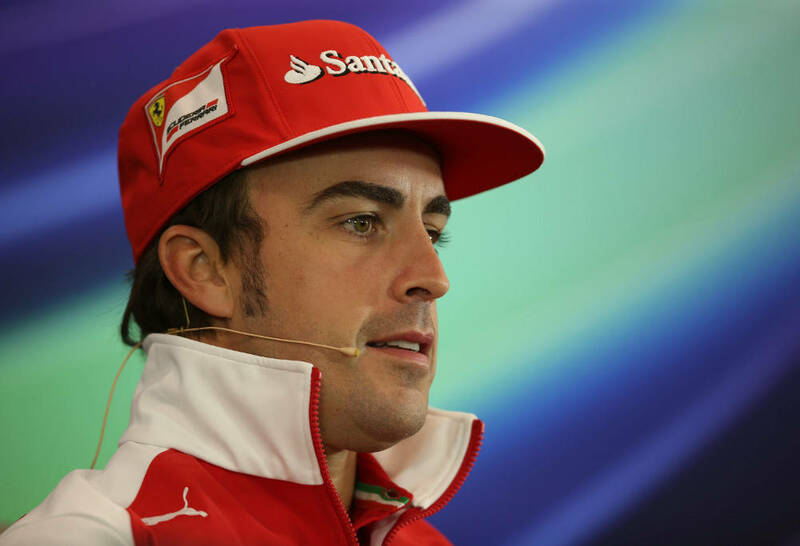 Alonso threatened to walk, believing him to be the team’s only competitive driver option. Ferrari called his bluff and hired Sebastian Vettel. Alonso was cut loose, his bridges burning in the background. His unlikely return to McLaren was a marriage of convenience, and when the Honda project floundered from the get-go, Alonso’s quest to emulate the three world titles of his idol, Ayrton Senna, did likewise. 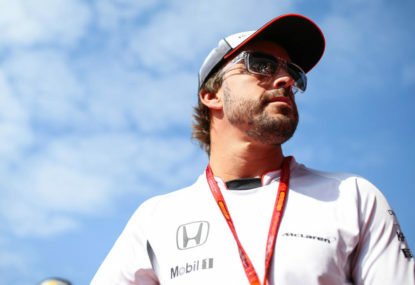 Hubris ultimately undid Alonso’s career, first at McLaren, later at Ferrari – indeed so prolific is his reputation as a brutal political animal that Mercedes and Red Bull Racing, two frontrunners that had seats free in 2019, never considered him. But it’s Fernando Alonso’s unbreakable competitive spirit that has driven him to his glories and mistakes in Formula One and will drive him to new glories in other series, any number of which will be falling over themselves to accommodate the man who remains one of the world’s most formidable drivers. So this is not Fernando Alonso’s retirement – and, as his statement suggests, it may not even be the end of his Formula One career. Whether McLaren can return to competitiveness in the short term is another question altogether, but if the Woking team does deliver a race-winning car before Alonso hangs up his helmet for good, you can bet on the Spaniard having one more crack at motorsport’s biggest prize.